Ninety Lions of Judah of gathered to celebrate the “Power of the Pride” at the annual Lion of Judah brunch. 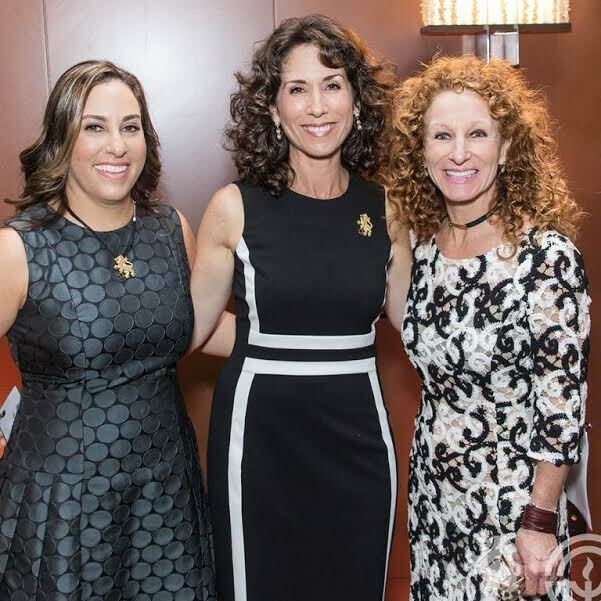 Co-chaired by Naomi Harris, Alexandra Hirschhorn and Shana Lew, the event marked the high point of the 2017 Campaign for the women who give a minimum annual gift of $5000 to the Federation. Keynote speaker Jane Weitzman, wife of shoe designer Stuart Weitzman, JDC board member and president of the Jewish Book Council, discussed her longstanding involvement in the critical the work of Federation and its partner organizations, including JDC and PJ Library. The event included a moving tribute to the legacy of longtime Federation and community leader Pauline Foster z”l, which reminded those in attendance of her extraordinary impact. In keeping with Jane Weitzman’s involvement in shoe design and her new book, “Art and Soul”, event co-chair Shana Lew created one-of-a-kind shoe masterpieces which served as the centerpieces, and which were auctioned.